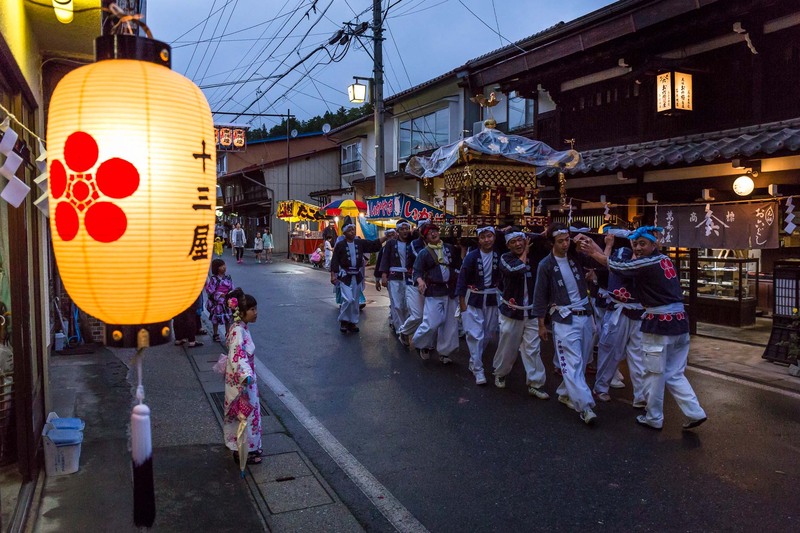 The Mikoshi is carried through the village of Kiso Mura as part of the Summer festival parade. Here been ovesrlloked by Kazufumi Okutani, 71 the senior Shinto priest of the village of Kiso Mura. For all the participants it is an all day sake drinking affair, stopping en route to soak up the alcohol with food as they sing along as part of the celebrations, Japan.